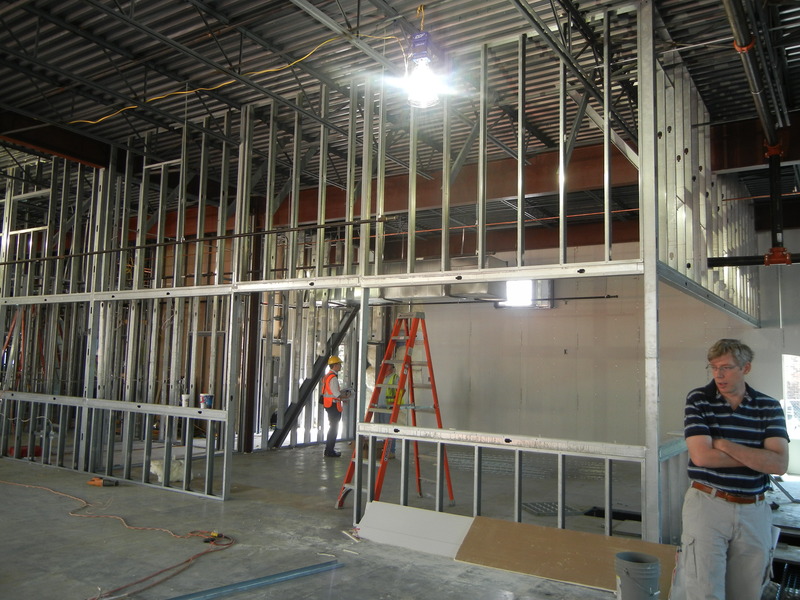 The plumbing is roughed in, the bathroom exhaust ducts are installed, and the interior framing is progressing well. 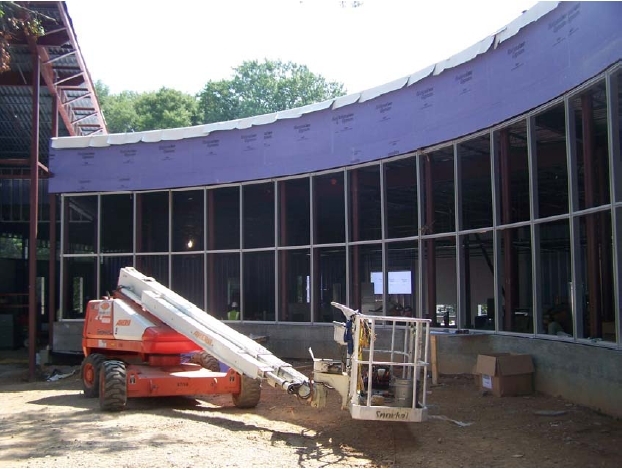 On the exterior, the window flashings around the large curved window have been installed, the vestibule is being blocked out in preparation for the curtain wall installation, the exterior brickwork is nearly complete, and the siding installation is about to commence. 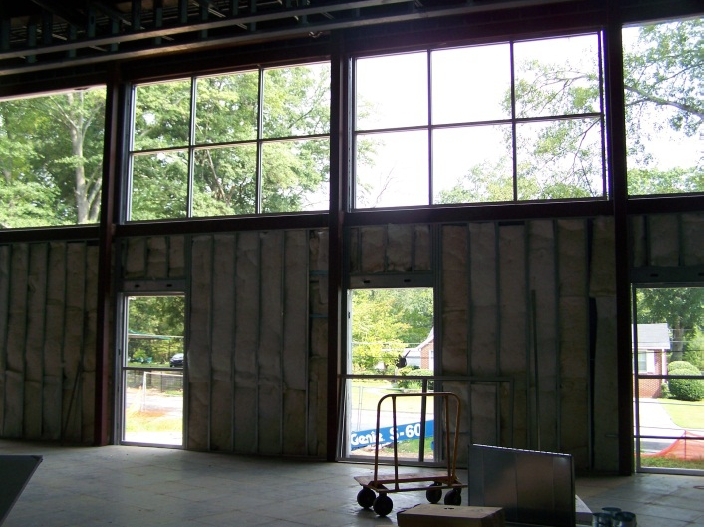 Looking out the front of the building from the public computer area. 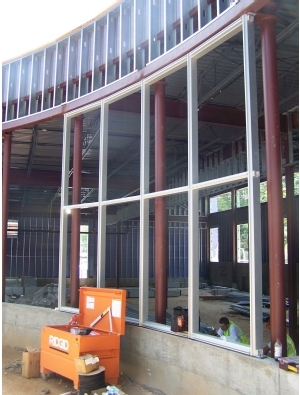 The frame for the computer training room. 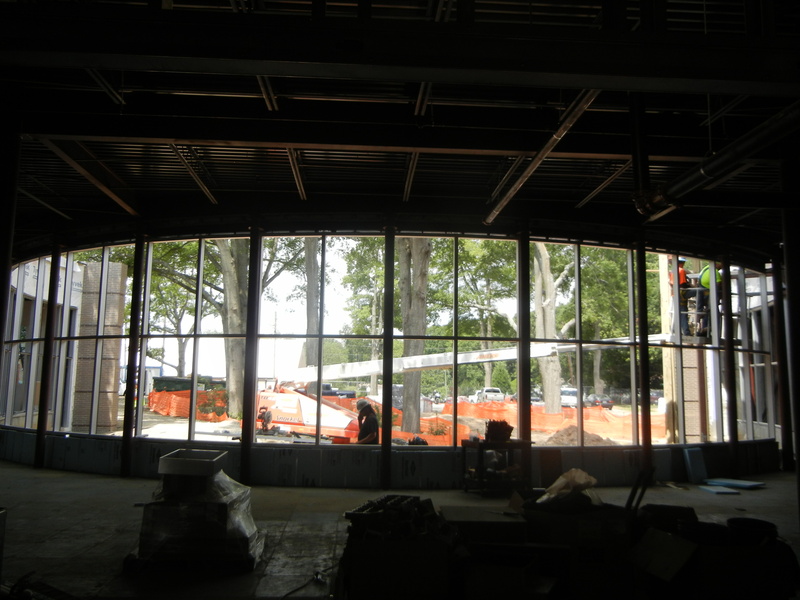 Looking towards the future location of the Circulation & Info Desk from the leisure reading and new book display area. 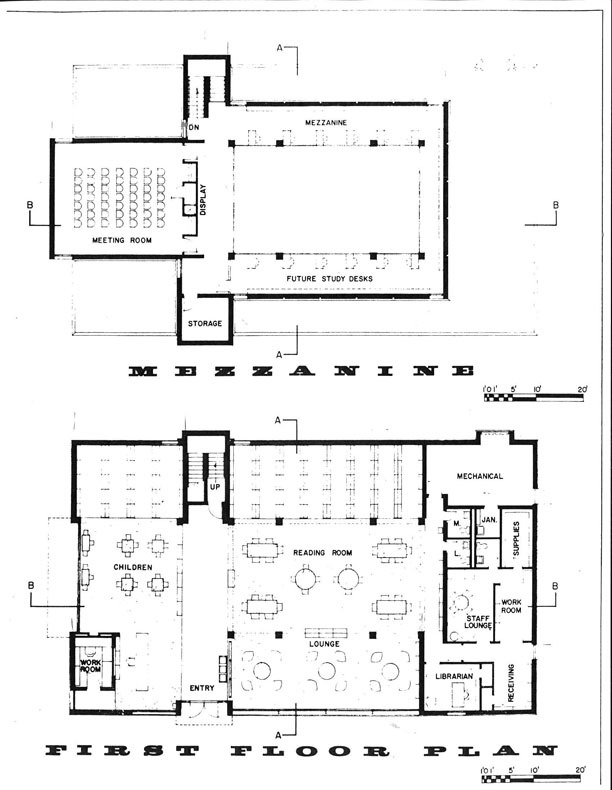 In working on another project, we came across the original floor plans for the old Forest Park branch library building and thought our readers might like to see the difference! 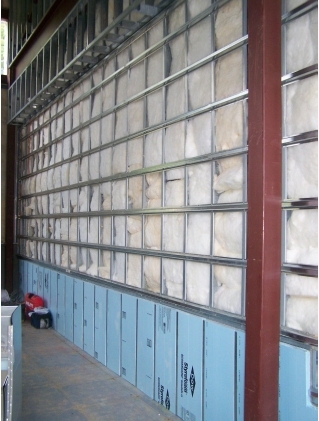 Exterior walls have been insulated and are ready for installation of gypsum board. 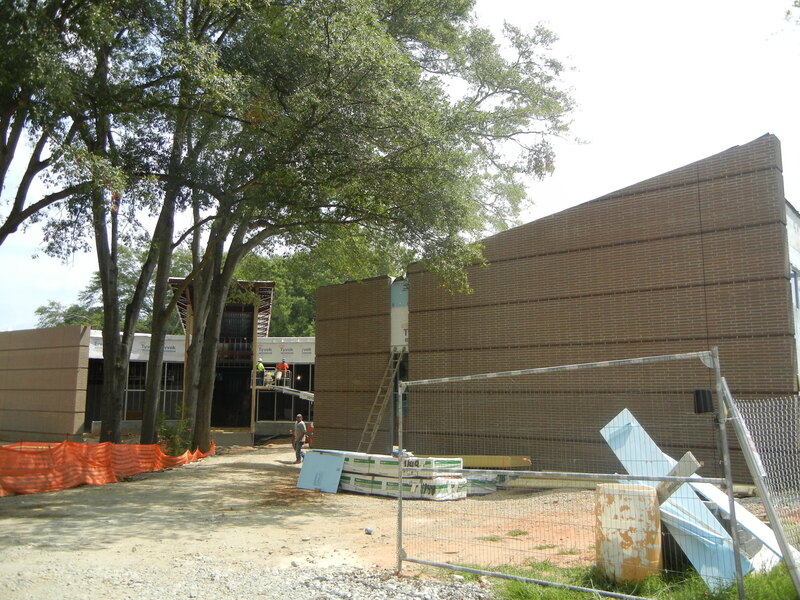 Masonry on the south-eastern corner of the building is complete and looking great! 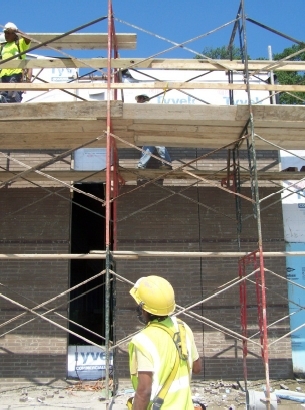 Masonry is now going up on the north-western and south-western areas as well. 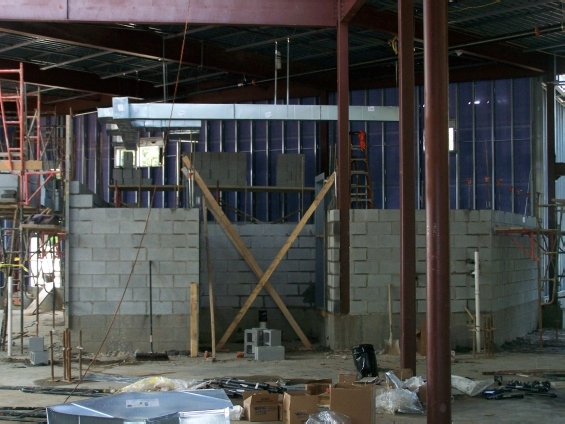 In other news, the restroom block work is complete and light gauge metal framing is in place above. 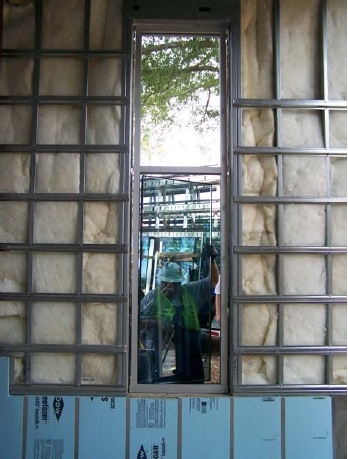 The weather barrier and rigid insulation installations are going well. 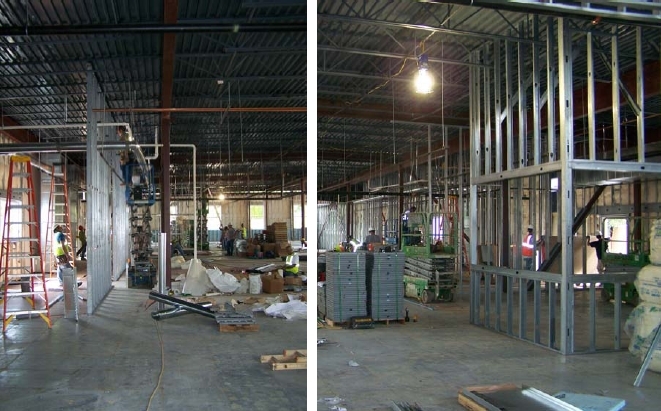 The access flooring, under-floor duct work, and overhead duct work installations are all progressing. 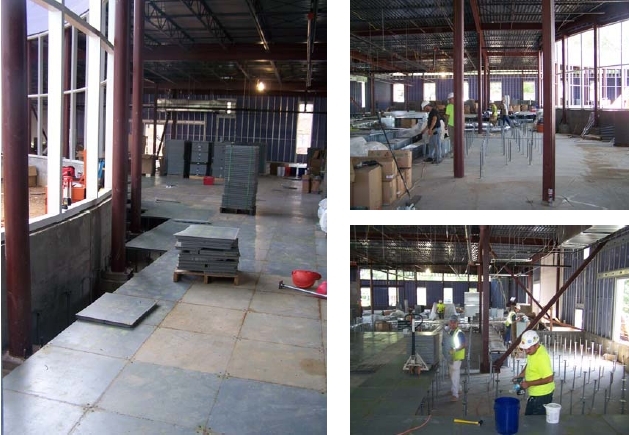 The raised flooring system is being installed! 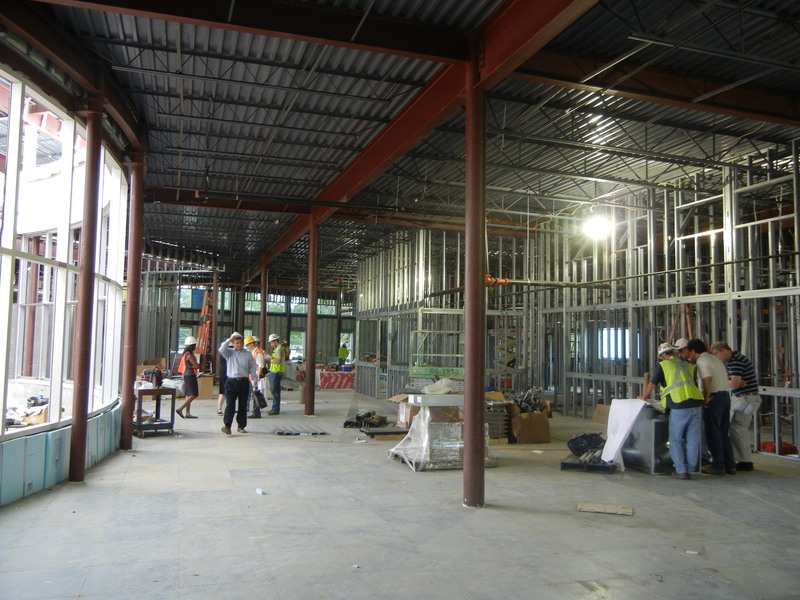 This system is popular in new libraries as it allows ductwork and wiring to be rerouted throughout the building with minimal effort and expense when shelving and seating need to be reconfigured due to the changing needs of the library in future years. 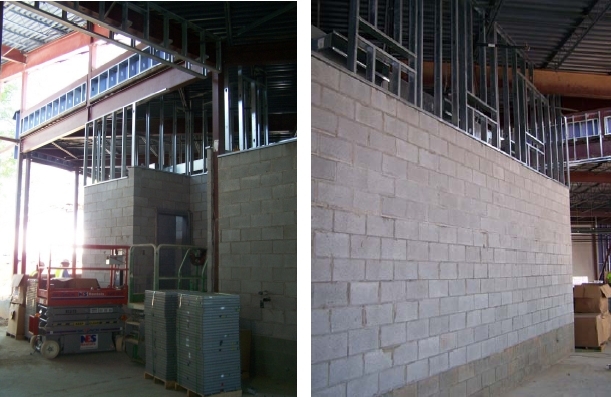 The construction of the building front is progressing well, the restroom blockwork is complete, and the exterior brick masonry is being installed. 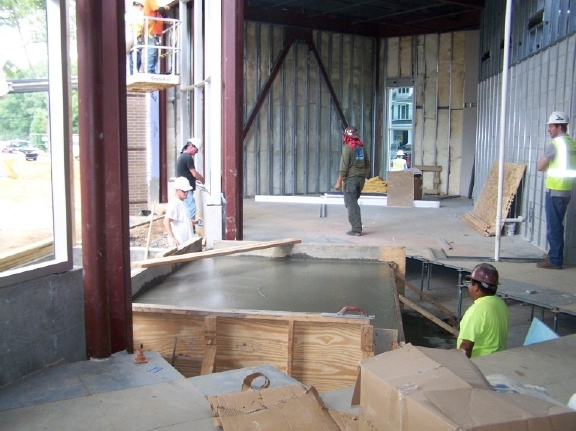 The concrete block has been delivered to the site and the masons have already begun work building the restroom walls. 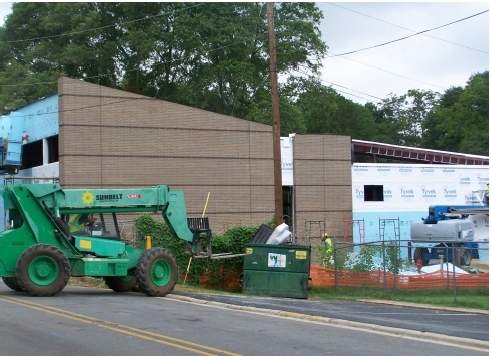 The weather barrier, the rigid insulation, sprinkler system, and the initial HVAC ductwork are being installed. 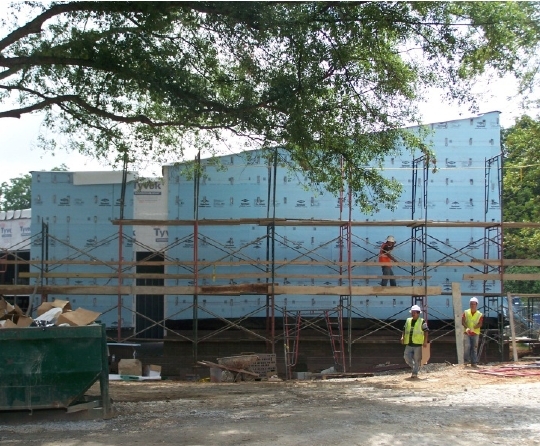 Roofing is in progress, and the framework for the large windows around the front curve of the building is going up!